CHINOOK View the onlinevirtual tour. https://my.matterport.com/show/?m=ZF7Qs9ZDyTb "CHINOOK" is a 1988 Delta 70' that has had countless improvements during the only 3 owners she has had. Originally built as the "No Le Hase" then "Princess Mary" "CHINOOK" is one of 5 vessels built by Delta marine that launched their custom yacht construction into world class status. These boats were all built for world travel. Cat power, long range, bow & stern thruster and everything needed to cruise in safety and comfort. not to mention "CHINOOK'S"ability to deep sea fish. Nothing has been spared to make CHINOOK one of the finest cruising yachts available today. she is located at our docks in Seattle. 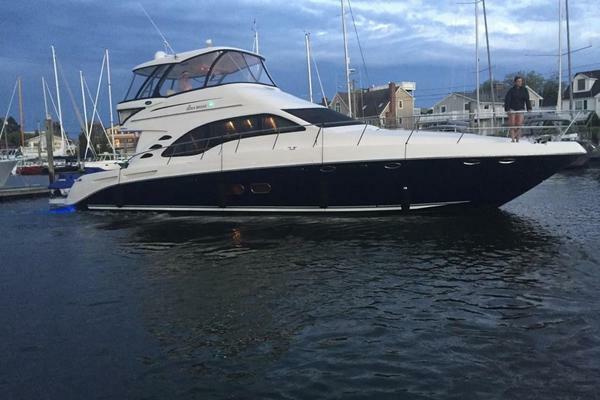 United Yacht Sales New Jersey would love to guide you through a personal showing of this 70' Delta Marine Long Range Motoryacht 1988. 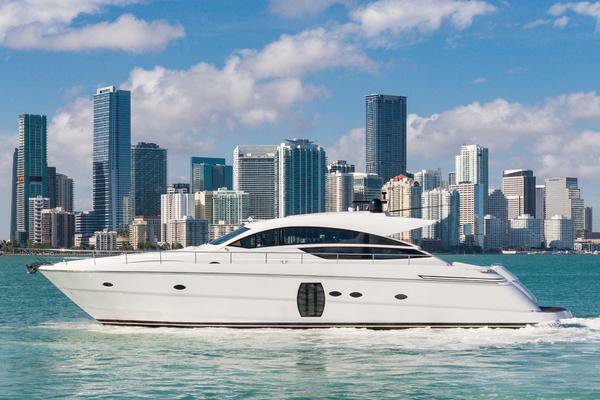 This yacht for sale is located in Seattle, Washington and priced at $1,950,000. For a showing please contact us by filling out the form on this page and we will get back to you shortly! Accommodations & Layout Entering the salon from the aft deck in the main salon, to the starboard is the large L shaped settee and chair and to port is two easy chairs to create a large relaxation and entertaining area. just to the forward to port is the office desk just aft of the side deck door. to the starboard midship is is the round teak dining table for six and just forward of that is three swivel bar chairs at the granite toped bar open to the galley. to the port is the large spiral staircase leading to the pilothouse. Next going forward on the main deck is the large U-shaped galley to starboard, two largeport lights provide lots of natural light to highlight the beautiful granite counter tops, to the port is a large bar and prep area with a built in expresso machine two subzero refrigerators and ice maker. Aspiral stairway just inboard of the galley leads down to the loweraccommodations. The large open layout from galley to salon gives "Chinook" the feeling of a much larger yacht. Main deck forward is the master stateroom, offering walk-around queen berth set on centerline aft, ample built-in storage is outboard including cedar lined hanging lockers, makeup bench and mirror, cabinets and drawers at either side provide ample storage, a private ensuite master head is forward with custom tub and shower. "Chinook" sleeps up to six owners and guests in three double staterooms plus additional accommodations for up to four crew or additional guests; four enclosed heads with separate stall showers, including a day head on port side forward deck. The upper deck begins with the pilothouse, featuring centerline helm, a large u shaped leather settee with a pilotearth behind. there are two port and starboard sliding access doors leading out to the Portuguese bridge with access forward to the anchor windless and bow cleats. passage aft finds the boat deck with access to the flybridge above and to the spacious cockpit aft and down. Belowdecks amidships are two guest staterooms, including one with a double berth and one with twin side by side berths, ensuite guest heads with separate stall showers are aft. Forward to port is an additional stateroom with stacked single berths outboard that can be used for crew or for additional guests with a head with separate stall shower is forward. Opposite to port is the ship’s laundry with storage, forward is the forepeak crew cabin with stacked single berths outboard to port allaccommodations haveseparate climatecontrols and entertainment. 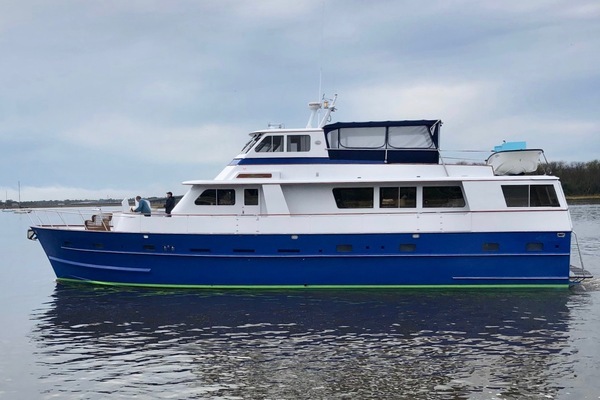 The"Chinook" has been meticulously upgraded and maintained by the current owner, including a layout redesign by Delta Marine; new leather upholstery, new carpeting and blinds, new pilothouse settee and salon recliners, new wall coverings and more. Galley & Laundry On deck galley is U-shaped set to starboard with a bar opposite to port. Updates by the current owner include new matched granite countertops at the galley, bar and wetbar, LED strip lighting and stainless steel facing for all Sub Zero units. • Sub Zero refrigerator & freezer • Jenn Air flush mounted electric galley stove with grill • Jenn Air electric oven • GE dishwasher • Sharp microwave • Miele espresso/cappuccino machine • Triple stainless steel sink • Dual Torrid 30-gallon hot water heaters • Custom built-in storage throughout • 5-shelf pantry • 12 foot countertop fitted with three fixed leather upholstered bar stools with gold plated footrest. Bar Area: • Countertop with custom glass storage built-in above • Dual Sub Zero bar refrigerators • Kitchen Aid icemaker • Drawers & custom wine & liquor storage is built-in belowMisc: Misc: • 20 cubic feet deck freezer. • Braun clothes washer with Electro-lux dryer belowdecks • Nutone built-in central vac system Entertainment Electronics: • Sharp 42” LCD flatscreen TV with DIRECTV with Denon AVR 3808ci audio/visual receiver – Salon. • APC xs 1500 battery backup • Panasonic Blu-ray DVD player • Sirius XM satellite radio • Toshiba flatscreen TV/DVD units – Guest staterooms Electronics: • Furuno 1832 96-mile radar with black box • Furuno 1932 MK-2 64-mile radar • (2) Furuno FCV-261 300-meter color sounders plus FCV 522 color video sounder at the flybridge. • (3) Furuno GP-1650 GPS • (3) Furuno GP-1850 DGPS/chart plotter • Simrad AP-70 autopilot with three remote stations. • Robertson AP-9 backup autopilot • B&G Hydra 20 wind speed & direction • B&G sea temp & depth • B&G Hydra 2000 digital speed & depth indicator at the flybridge • Ocean PC upgraded with custom built computers and Nobeltec system • (3) IBM T-860 18.2” monitors • Simrad Taiyo ADDF TD-L-1520 • Simrad Taiyo ADDF TD-L-1100 • (3) ICOM M-127 VHF marine radios • Inclinometer • American Pioneer V-160 sonar panel • Ritchie 4” magnetic compasses at wheelhouse and flybridge helms Electrical • 12v plus 24v DC and 120v plus 220v AC systems with panels & fuse/circuit breaker protection • (1) Northern Lights generator 30kw with John Deere diesel – 1988 – 9602 hours total • (1) Northern Lights generator 30kw with John Deere diesel – 1988 – 9692 hours total • (2) Lima 30kW 120/220 AC generators enclosed in ‘whisper packs’ • Marathon plus generator • Newmar 60-amp battery charger • Charles Industries 60-amp battery charger • (6) gel cell batteries for the DC system and main engine start • (2) dedicated batteries for the Northern Lights gensets • (2) Charles Industries Power Buck and boost units • 50-amp dockside electrical inlets with 75’ of shore hook-up cabling Deck & Hull • Decks & hull are solid FBG • Aluminum mast • (3) spars with enclosed wiring channels • Lexan wind screen • Boarding ladder mounted at the transom • 406 EPIRB • (4) watertight Freemen deck hatches • 200-gallon bait tank • USCG approved Quincy 25 Series air compressor • (6) Kahlenberg air horns • Carlisle & Finch 40 million candlepower searchlight • (4) deck floodlights facing aft • (2) commercial grade 1000-watt crab fishing lights facing forward • High pressure freshwater deck washdown • Electric pot hauler • Release Marine tuna chair • Custom bimini flybridge top • New cushions for the upper deck • Guardian life raft Ground Tackle: • Davis 350-lb stainless steel Talon Saber anchor • 90’ of stainless steel ¾” chain and 600’ of ¾” stainless steel cable • Nilson 6” chain/capstan mounted at the port stern •Nilson 6” single head capstan mounted at starboard • Muir VC-4000 capstan mounted at the foredeck for warping bow lines Mechanical Equipment: • Single CAT 3408 8-cylinder turbo charged aftercooled 455hp – installed new in 2001; gear is twin disc MG 516 with 6:1 ratio and trolling option – 5069 hours • Naiad MultiSea 2000 stabilizers with 16’ fins • Aft bow & stern thruster motors – replaced October 2012 • Walter 12-tube copper nickel design keel cooler • Larger thruster tunnels added by Delta Marine • Reverse oil change system for all three gensets and the main • 88 gallon fresh oil tank • 65 gallon waste oil tank • Ulstein/Rolls Royce stainless steel 5-bladed 62x45 RH propeller • Aquamet 22”x 4” stainless steel shaft • Tide Stong Seal dripless packing gland • Spur line cutters • Hough system with Wagner series TH ram unit at rudder head • ESI 2000 fuel polishing system (500 GPH from main fuel tanks) • Tuthill and Tyrone fuel transfer pumps • (5) Racor fuel/water separators with two filters Remarks: Returning to her home at the Delta Marine Facilities in Seattle, WA in the fall of 1999, PRINCESS MARY/now CHINOOK underwent a complete refit with the owner being closely involved in all aspects and completion in March of 2001. All machinery was removed and replaced along with being upgraded to meet the latest IMO compliance standards. The interior was gutted and with the expertise of Rovin Truckess of Mucci/Truckess Design was recreated into a fresh and inviting space. State of the art electronics and navigation equipment were installed to ensure the safety of the passengers and to allow the owner the freedom of running his own yacht. CHINOOK was designed as a single screw, expedition style motoryacht. She's a joy to look at and distinctive with her high bow and stout bulwarks. She is a true blue water long range cruiser.